The popularity of the online poker and bingo games is overwhelming. Tens of thousands of players converge in many gaming websites daily to play and enjoy the games. Many of these players are always eager to win and keep trying their luck day after day. This kind of addiction has made lots of gaming websites to keep offering incentives that would attract more players to their playing platforms. If you have every searched for online bingo websites in any of the search engines such as Google, you will realize that hundreds of such gaming websites would come up as results. The irony behind this is that few of these supposed gaming sites aren’t honest and may promise things they aren’t ready to fulfill just to lure innocent players to their sites. These dishonest gaming websites employ different marketing gimmicks to attract the players and try to keep such players on their platform as long as possible so that they would get as much money as possible from such player without offering the requisite gaming satisfaction. It is usual for players to leave these platforms but they must have lost a lot of money then. These lost monies are usually irretrievable. Any player is advised to be very careful while choosing the online poker/bingo website so as not to have ugly tales at the end of the day. Many of the fake bingo sites have similar modes of operation. They have very beautiful and fantastic graphics, easy gaming interface and makes registration process quite easy. In most cases, they would let the player join their gaming websites absolutely free of any money and still offer free gaming coupon to such players. This coupon could be used to actually play and win prizes but the story start changing when such player wants to withdraw his or her prize. The player will be required to become a paid member before making any withdrawal. 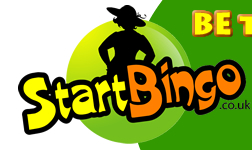 Many players had reported that soon as they paid up their registration fees to these fake bingo websites, they refused to pay the prize monies they initially won. Their way of operations is quite complex because they device many ways of making the player stay as long as [possible while they keep raising the stakes till they can grab enough money from such player. The player may be given extra bonus in some cases and would be required to earn certain amount of points before applying for withdrawal. This sort of arrangement is to keep the player glued to the fake site for a longer time. One thing about these fakers is that they are really patient and take their time before they strike. You can be sure of getting reliable and professionally managed online poker and bingo gaming websites but carefully research each of the site you are considering before depositing any money. You can check up the online poker/bingo review sites to know whether the gaming site you have in mind is listed among the fakers. You can also visit some online gaming discussion forums and ask other players what they thing about certain gaming websites before you stick your neck out.